The eagerly awaited Reaper Pole Section Retainer hits tackle shops next week, and does everything that you would expect it to, plus much more! 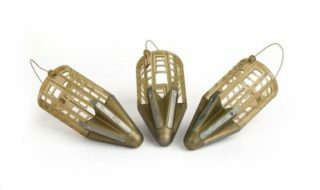 You might be thinking that there isn’t really much that you can do with a pole sock, but this one has a few unique features which really make it stand out and will help you to fish more efficiently. 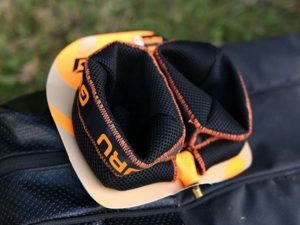 To prevent your pole sliding forwards, most anglers attach either a pole sock or tulip flexing grip to their seatbox, but the Reaper combines the best of both. The Reaper features two pole socks and the clever design means that there is a tulip grip in-between them, so effectively you have a retainer that will hold three separate sections of pole. 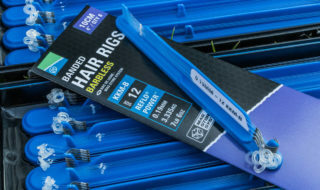 The frame is strong and durable, as are the ‘socks’ themselves, and there is plenty of protection around the edge of it to prevent any chance of damage to delicate pole sections, thanks to an EVA foam coating. The thick mesh used for the sock also provides plenty of protection for pole sections. The new Guru Reaper Dual Pole Section Retainer has plenty of features that will appeal to pole anglers. Plus the socks are large enough that even the largest pole sections are easily located within them, with the depth of the sock made to make it as easy as possible, without having to pay too much attention whilst unshipping as you play a fish. The pole sock will hold anything from a single number four section, right the way up to a full 16m pole minus the top three. 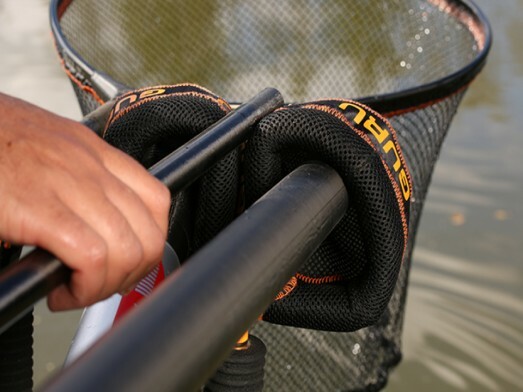 The Reaper pole section retainer is easily attached to seat box arms, and similar, via a universal metal screw thread. Available to pre-order now from Poigndestres imminent initial stock delivery, in-store, or by giving them a ring on 02380 510077.